Machine learning is taking a more prominent role in all our lives. It's even begun to creep into medicine, where recognition tools are tackling cancer. I’ve written before about the apparent shift in healthcare whereby making sense of the vast quantities of data produced within the system is key to successful treatment of patients. Nowhere is this moreso than in cancer care. For instance, a team from UCL utilized deep learning earlier this year to more accurately identify cancer cells. 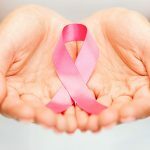 This trend is continued with a second study, which aims to make sense of the cancer data currently sitting in the cancer registry program that’s coordinated by the National Cancer Institute (NCI) and the Centers for Disease Control and Prevention. This database has records of cancer incidences across the US, but the curation of it can often be a hugely time-intensive process as it requires manual editing and annotation from experts for each file. The researchers have been working on this for a few years, but have made considerable progress since adopting deep learning. They developed algorithms to search for and extract valuable information from the reports in the database. When tested on even a small sample, the system proved very capable of uncovering some previously hidden insights. The team first set about ensuring the system had a contextual understanding by feeding the neural network a load of data. The researchers accelerated this by conducted multiple calculations at the same time. When this algorithm was programmed to perform multitask learning, its performance went up considerably, especially compared to more traditional methods. To further test the approach, the team conducted a second study on a more complex data challenge. They set out to use deep learning to connect up the origins of a cancer with a topological code, thus providing a very high level of granularity. By using the convolutional neural networking approach typically deployed in image recognition, they were able to feed the algorithm data from a range of sources. The algorithm then created a model from this data to make connections between words. The results from initial tests are certainly promising, and the team hopes to scale up their work with larger datasets, with the algorithms performing under reduced supervision. Becoming more adept at deriving insights from vast datasets like this is likely to be increasingly important for the quality of healthcare in future. Hopefully, the lessons from these various projects are readily shared around the industry so we become collectively wiser as a result. The researchers themselves admit that they have barely scratched the surface of what can be achieved, so it will be exciting to follow progress in the coming years.